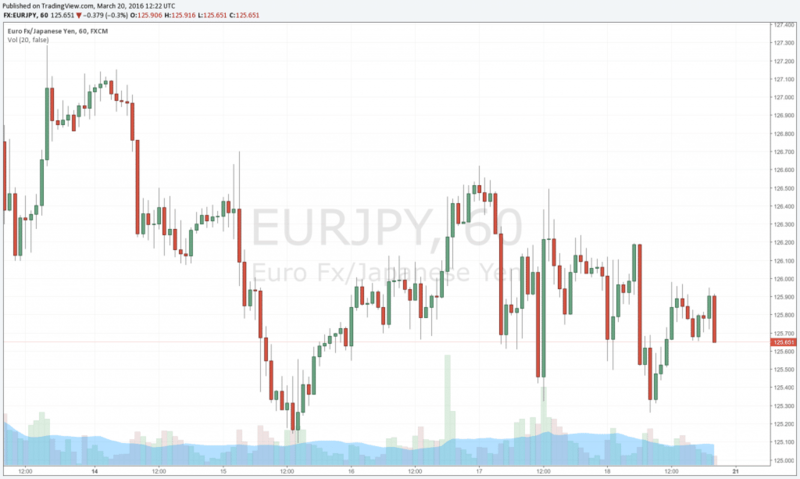 The Japanese yen increased against the euro and other main currencies due to changes in oil prices. The euro decreased against the dollar and the Japanese yen at mid-week when traders pushed it down expecting changes in monetary policy from the ECB the next day. The euro was at $1.0975, decreased from $1.1006 on Tuesday. Against the yen, the EU currency slipped to the week’s minimum of ¥123.45 before returning to ¥123.55. It was at the level of ¥123.94 on the previous day. The euro crossed the $1.100 level as the U.S. dollar was more affected by changes in oil prices in the previous weeks, but it currently seems that investors changed positions before the European Central Bank meeting,as announced by Yasuaki Amatatsu, senior analyst at the Bank of Tokyo-Mitsubishi UFJ. Experts predict that the ECB will decrease deposit rates by at least 0.1% to -0.4% and fight low inflation rates in the eurozone. There’s also hope for growth in the ECB bond-purchase program of at least EUR 10 billion monthly. The Japanese yen increased against the euro and other main currencies due to a drop in Asian stocks and changes in oil prices: Brent crude was at $39.97 a barrel in London on Wednesday before returning to $39.92, 27 cents higher from the previous day’s level and 40% higher than this year’s minimum in January. Inactive Chinese trade volumes on Tuesday and volatile oil prices renewed concerns regarding the global economy’s growth and pushed investors to stop a global stock rally. Risk reduction increases the popularity of the safer Japanese yen over other currencies. The U.S. dollar went down to ¥112.41, its minimum since March, before returning to ¥112.60 in Europe and more recently staying at ¥112.44. The WSJ Dollar Index which shows the dollar’s performance against other currencies, slightly changed and stopped at the level of 88.73.